With less than a week left in 2014, lets go back and look over the most important moments of the 2014 Mets year, on and off the field. We did this the previous two years. 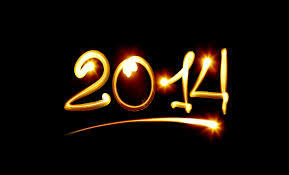 The 2013 post can be found here and the 2012 article can be found here. In case you were living in a cave over the last year here is everything you need to know about the Mets in 2014. There were a lot of positives for the Mets but the team also had a lot of negatives. Here’s the list. 6. Bobby Parnell undergoes Tommy John surgery: Parnell didn’t look right all spring as his velocity was way down in Florida but the Mets elected to put him on the Opening Day roster anyway. Parnell blew the save on Opening Day against the eventual division champion Nationals and was sent for an MRI shortly after that revealed the need for season-ending surgery. The bullpen was a major liability for the Mets for much of the first half after Parnell went down as place holders such as Jose Valverde and Kyle Farnsworth were ineffective as late inning options. Both players were let go midway through the season. The Parnell injury was a major reason the Mets fell in such a large early season hole that they were never able to climb out of. Bobby Parnell will not be ready for Opening Day but for some reason, the Mets elected to pay his arbitration price again. 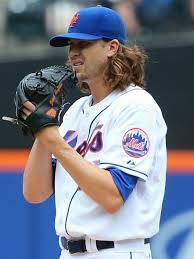 ninth round pick of the 2010 draft, Jacob deGrom. The right-hander was dominant all season and was easily the Mets best pitcher in 2014. If deGrom can perform as well as a second year player, the Mets rotation should be a force in 2015. DeGrom’s special year was capped off when he was awarded NL Rookie of the Year. Jacob is the first Met to win Rookie of the Year since Doc Gooden in 1984. 4. Mets will bring in the Citi Field Fences once again: In what has become a common discussion in recent years, the Mets have elected to bring in the Citi Field fences yet again. The new dimensions are very similar to Shea Stadium but if the Mets had the money to bring in better hitters, this probably wouldn’t be #4 on our list. The Mets needed to get creative to solve their need for power bats. Regardless David Wright and Curtis Granderson should benefit in 2015 from the more hitter friendly dimensions at Citi Field. 3. Mets sign Michael Cuddyer: The Mets made the first move of the MLB offseason by signing outfielder Michael Cuddyer to a two year contract worth $21 million. Cuddyer will cost the Mets the 15th overall pick in the 2015 draft but will provide a much needed bat to the middle of the New York lineup ,should he stay healthy. When the Mets struck unusually quickly to sign the former All-Star most expected this to be a busy offseason for Sandy Alderson and company. That has not been the case as the Mets have been quiet since that move in November. 2. Mets trade Ike Davis to Pittsburgh: The debate over who should be the Mets first basemen mercifully came to an end when the Mets traded shipped the former first round draft pick to Pittsburgh. While the Mets didn’t get much back in exchange for Ike Davis, the move freed up such much needed money and more importantly allowed Lucas Duda to play first everyday. 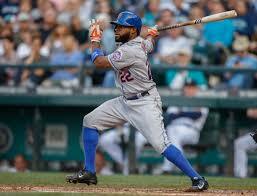 The left-handed slugger blossomed after being handed the job and hit 30 homers to go with 92 RBI’s for the Mets. Duda will be critical for the 2015 Mets. Davis did not play well in Pittsburgh and has since been moved to Oakland as a salary dump where he will serve as depth in the A’s first base puzzle. 1. Sandy Alderson’s 2013 offseason signings don’t pan out: Unfortunately the Mets most significant moment of 2014 is a negative one. Last offseason Alderson and company signed OF Curtis Granderson and Chris Young along with P Bartolo Colon to lucrative deals, none of which have worked out. When you are operating at such a small payroll like the Mets, you must hit on all of your free agent acquisitions and the Mets hit on none from last winter. 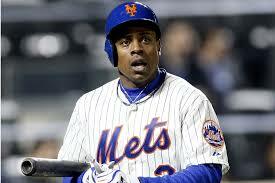 Granderson had a dismal year and received the boo birds often at Citi Field. The former Yankee is still owed $47 million over three years by the Mets. The Grandy Man has now not hit over .232 since the 2011 season. Granderson should benefit from the fences coming in power-wise but must improve on his .227/.326/.388 triple slash in his first season in Queens. Chris Young was a disaster for the Mets and was released midway through the season. Young was the worst signing in Sandy Alderson’s tenure as Mets General Manager. Young badly struggled even just putting the ball in play as a member of the Mets. While Bartolo Colon was a reliable veteran presence for the Mets in 2014, but the team simply over payed him. Colon,41, is still owed $11 million in 2015 which is far too much money for a 5th starter on a team that doesn’t want payroll to exceed $90-95 million. The Mets attempted to trade Colon but couldn’t find a team willing to take on his entire salary. Signing Colon last winter is preventing the Mets from finding a shortstop now. The 2014 Mets year was mostly uneventful but expect 2015 to be a much more interesting year in Queens. 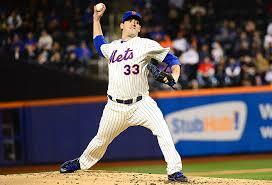 With Matt Harvey back along with a rejuvenated David Wright this Met team should improve on 2014’s 79 wins. Opening Night is now only 100 days away…. What are you looking forward to most from the 2015 Mets? With the Mets already over their 2014 payroll with many notable arbitration raises expected, the Mets can save some coin by non-tendering former closer Bobby Parnell. The Mets shouldn’t even wait until the tender deadline and should cut the right-hander now to save a 40-man roster spot. The Mets current plan is to tender Parnell a contract and then ease him back into the bullpen mix early in the regular season. MLB Trade Rumors projects Parnell to make around $3.7 million in his final year of arbitration. I think to give him that would be a mistake as a team without any financial flexibility shouldn’t be taking gambles on injured relievers. Parnell is not expected to start the year on the 25-man roster as he continues his rehab from April Tommy John surgery. The Mets can’t afford to pay a reliever who won’t be the closer and won’t even be available to start the year $3.7 million. Don’t forget Parnell also lost a good chunk of 2012 with a very serious neck injury. Here is the full list of arbitration eligible Mets, courtesy of MLB Trade Rumors who do a fantastic job 365 days a year. After he had his surgery in April I wrote about how Parnell likely played his last game as a Met. You can check out that article here. As of now the Mets plan on keeping Parnell. It is pretty crazy that 18 months ago we were talking about the Mets trading Parnell for a big time prospect and now I’m saying they should cut him. Remember the Mets could always non-tender Parnell and bring him back on a minor league deal or even a guaranteed deal at a smaller base salary. 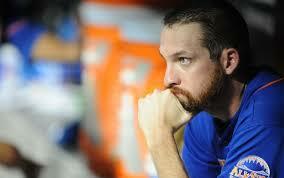 Can the Mets afford to keep Bobby Parnell? The title of this article is a sentence Mets fans have become too familiar with over the past eight seasons… The Mets have been eliminated from playoff contention. The Mets are 74-80 this season after winning 74 games the previous two seasons. While the record isn’t much bfametter, the team has made a number of improvements with key players while learning that other won’t be part of the solutions. 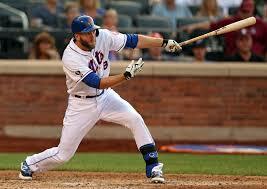 Lucas Duda: The Mets best (and only) real power threat in the lineup in 2014 was the emergence of Lucas Duda. It has always been a confidence issue for the 28-year old but he has begun to fix that. The move to first base, his natural position certainly helped his offense and Duda should be a big part of the Mets offense in 2015.Duda’s power hasn’t really increased he is just getting his first real opportunity to play every day all season. The team may need to find a backup first basemen in the winter who crushes lefties. A player like Danny Valencia could fit in very well at first base. Valencia hit .324 this season against left-handers with an.813 OPS. Jeurys Familia: Familia was flat out dominant in 2014. He neutralized even the greatest of right-handed batters and went from not being able to throw strikes in 2013 to being “effectively wild” in 2014. Whether he becomes the closer or stays as the set-up man Familia should be effective in the Mets bullpen in 2015 while making the league minimum, should he stay healthy. 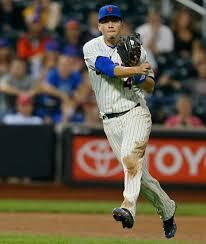 Travis d’Arnaud: The 2014 season started as a disaster for the 25-year old d’Arnaud. Travis was batting .180 on June 4th when the Mets made the wise decision to send him down. They called him back up around three weeks later. Since his recall the rookie backstop is hitting .273/.320/.482 with ten homers and 32 RBI. 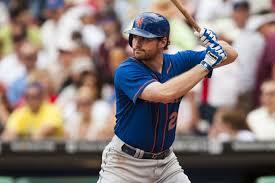 He has become one of the Mets better hitters and is now batting third. D’Arnaud has looked very comfortable in the #3 spot. The Mets have a very good problem with d’Arnaud’s offensive growth at the major league level and Kevin Plawecki’s impressive minor league season. The one issue with d’Arnaud is he has a hitch in his throws to second and has become very easy to run on. Keith Hernandez on the SNY broadcasts noted that it will be very difficult to get that hitch out over the winter and in Spring Training. Other notable players are Juan Lagares and Jacob deGrom who should be a part of the Mets future for years to come. I’m going to have a separate post on both of these future award winners once the season ends. Ruben Tejada: Tejada came to major league camp with something to prove. He instead proved that the Mets wasted another year hoping he could be the answer at shortstop for some reason. Tejada will likely be a non-tender guy and will join another team as a backup middle infielder, a role that he should be much better in. Dillon Gee: Gee looked like he was on his way to another strong season before a lat injury took out a few months for the right-hander. Since Gee has returned he has struggled to the point that he could be on his way out of town. Gee will surely get a hefty raise on his $3.6 million 2014 salary through arbitration. With all the Mets pitching now up or near the major league level the Mets might find Gee’s increasing salary to be better used elsewhere. 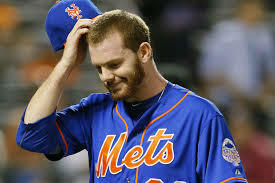 The Mets will shop around Gee along with Jonathan Niese this winter. Bobby Parnell: To no fault of his own, Bobby Parnell threw in one game for the Mets before undergoing Tommy John surgery. Parnell’s velocity was down a lot in spring training but the Mets publicly said they were not concerned. Parnell will make at least $3.7 million next season in his final year of salary arbitration. Again with the Mets hamstrung for cash, it makes little sense to pay a reliever that kind of money coming off Tommy John. 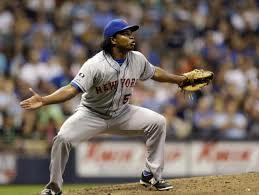 The Mets also have Jenrry Mejia and Familia to be the back end of the bullpen. It is far from a guarantee that Parnell will be ready to pitch in a big league game by April. The Mets would be much better off non-tendering their former closer and try to bring him back on an incentive laden contract. Curtis Granderson: The Mets are hamstrung on Granderson’s huge back loaded contract. He hit even worse than he did when he broke his hand twice last season with the Yankees while the Mets thought he would hit much better. While the Mets would surely like a redo on this deal to get that money back to put into a corner outfielder on the upswing, no team will take on this 33-year olds deal when he has 3-years and 47 million left on his deal after this season with a slash line of .221/.322/.376. The Grandy Man’s 19 homers this season should go up a little when the Mets likely move the right-field fence in.